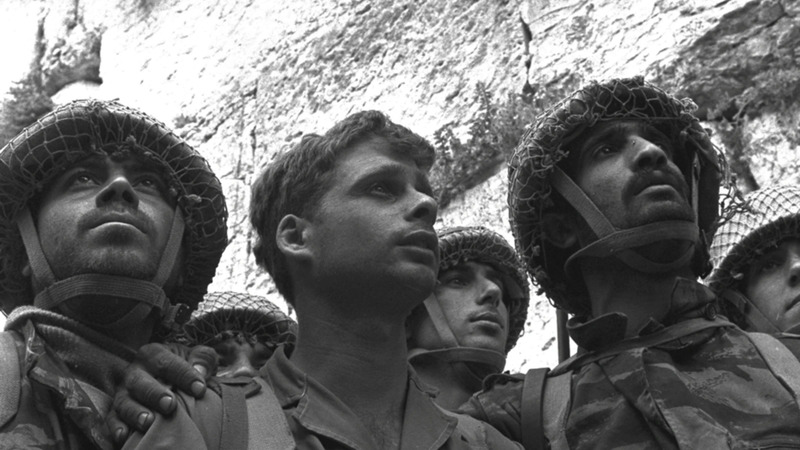 Experts discuss the legacy of the 1967 Six Day War, its influence on U.S. policy in the Middle East for the last fifty years, and the prospects of negotiating a lasting Arab-Israeli peace deal. HAASS: Well, good afternoon. My name is Richard Haass, and I want to welcome you all to the Council on Foreign Relations and to this event in the Lessons from History Series. Let me just say one or two things about the series. It recognizes that historical analysis is a critical tool for understanding the foreign policy challenges facing us today. And these meetings, which bring together historians, experts, and either former or current practitioners, are made possible through the generous support of David Rubenstein. And through this series we’ve had the chance to look at the state of intelligence 50 years after—actually, that’s wrong—15 years after the 9/11 terrorist attacks; we’ve had the chance to look at the 10th anniversary of the 2007 U.S. troop surge in Iraq; we’ve looked at the foreign policy legacies of Presidents Obama, Reagan, and George H.W. Bush; the 100th anniversary of U.S. entry into World War I; and the 25th anniversary of German unification. And all of those, by the way, are up on not just CFR.org, but the newly redesigned CFR.org. And if you haven’t been on it, I strongly recommend that you do. We’ve invested a lot in it and we are extraordinarily proud of it. This series is just one of several things we’re doing here at the Council on history. Also sponsored by David Rubenstein, we now have an historian-in-residence fellowship, where distinguished historians get the chance to come here and do policy-relevant research, and this year we’re pleased to have Jay Winik in our midst. And if you didn’t see already, outside in the hallway here we’ve got all sorts of photos stemming back 50 years to the Six Day War. Speaking of which, what is behind this meeting is the 50th anniversary of the Six Day War, of the 1967 war. The facts of it are relatively well-known. Some 20 years after the 1948 war, some 10 years after Suez, Nasser’s Egypt expelled the U.N. peacekeeping force from the Gaza Strip and Sinai. And then, despite Israeli warnings, they closed the Straits of Tiran to Israeli shipping. In response, Egypt—Israel attacked Egypt’s air force in what was intended to be a one-front war. Jordan and Syria then entered the war. And in short order, Israel took control of Sinai, Gaza, the Golan Heights, the West Bank, and all of Jerusalem. And you could be forgiven for seeing this as somewhat reminiscent of Genesis: six days of effort followed by a day of rest, in which case a ceasefire was signed. So the history is pretty straightforward; not what to make of it. And there’s any number of questions. Was Israel justified in attacking and launching what we would call a preemptive strike? Did it have a choice? Was it a war of necessity or a war of choice? What did this war settle or resolve? Why didn’t it lead to peace? Did this war lead inevitably to the next one, the 1973, the October War? What about U.N. 242? What are we to make of it? What was the impact of the war on Palestinians and Israelis alike? And what’s now the relationship of this impasse to this larger region, and what can and should be done about it? As you can see, no limit to the questions that could come up. ANDERSON: Thank you very much, Richard. And thank you all for joining us. As Richard has suggested, this is a timely moment to look back over the course of the last 50 years and think about the circumstances and the consequences of the Six Day War. We have an extraordinarily distinguished group to have this discussion with. You know who they are, but Martin Indyk is the executive vice president at Brookings and former U.S. special envoy for Israeli-Palestinian negotiations at the State Department; Kenneth Stein is professor of contemporary Middle Eastern history, political science and Israeli studies at Emory University; and Shibley Telhami is the Anwar Sadat professor for peace and development, and director of the Critical Issues Poll at the University of Maryland College Park. He’s also former senior adviser to the special envoy for Middle East peace at the State Department. So it’s a long, complicated set of questions that we’re going to be considering today. We will discuss among ourselves a little bit, and then shortly afterwards we will open the questions to all of you. This session is on the record, and so you should keep that in mind. Let me start, perhaps, with you, Professor Stein. As it was observed in The New York Times over the weekend, this anniversary that we’re marking is, in a sense, twofold: it is an anniversary of the Six Day War and it is the beginning of the occupation that followed it. So let’s start with the war, and how it shaped the succeeding debates in the region about land and identity and sovereignty. And perhaps you’d like to think a little bit about some of the questions that Richard Haass raised, about whether it was a war of necessity or a war of choice. Sir? STEIN: The Six Day War began at the end of 1949. The Arab states did not recognize the state of Israel as a result of Israel’s independence war. Egypt and the Arab states continued throughout the 1950s to disestablish the state. Finally, the Arab-Israel conflict, as we came to know it, ended up being part of the greater Cold War. The inability or unwillingness of the Arab states to accept the state of Israel then would cost them again in 1967. I think it would be fair to say that if President Nasser, in going to war in ’67, hadn’t lost Sinai, in all likelihood Anwar Sadat would not have flown to Jerusalem. He would not have wanted it or needed it back. So the seeds of ’67 may be found in the negotiating process of ’79, or from ’73 to ’79 forward. Getting a little bit ahead of myself, I think it’s fair to say that Israel—population of 2 ½ million in 1967, less than a quarter-century after the Holocaust—in the month before the war felt the tension was quite high. There were rabbis who were sanctifying large areas of land for potential cemeteries. Trenches were being dug in Israel. And the ratcheting up of the rhetoric between Arab states—Arab leaders in Egypt, Iraq, Syria—brought this confrontation to a head. I think it’s fair to say that the Israeli government was highly hesitant and reluctant to even consider the possibility of using military force. At least toward the end of May Levi Eshkol was still very much interested in trying to find a way to break the blockade of the Straits of Tiran. And the United States took a position of studied neutrality, I think it would be fair to say. Abba Eban came here, had long conversations with Rusk and McNamara, and with Johnson, and essentially no international flotilla was established to break the blockade. Moshe Dayan was asked to come into the government in early June of 1967. And in doing so, the leader—head of Israel’s war effort in 1956 now was in charge of the army. The army was led by then-Chief of Staff Yitzhak Rabin, who would later become ambassador to Washington and later prime minister of Israel twice. In concluding this early part, I think the fact that the Arab states did not accept—and here I’m looking at a very long perspective—the partition was not accepted in ’47. Israel was not accepted after ’67. No one put international limitations, no one put diplomatic limitations on Israeli behavior or Israel’s policy choices. Had there been two states, who knows what would have happened in the ’50s and ’60s? Had Sinai not been lost, who knows if Egypt would have ever signed an agreement? And who knows if Israel would have ever established settlements in the territories? Probably not. So a series of decisions not to engage and be pragmatic with Israel I think hurt the Arab side. And the last point I want to make is that Israel’s decision to go to war in 1967 fit very conveniently with Israel’s raison d’être for having a Jewish state initially. Zionism was—the goal was to have Jews have an ability to determine their own future, to engage in self-determination. And I think you could argue that preempting in this war was a doctrine that said we’re going to take care of ourselves, do what is necessary, even if the great power—the United States—that we know and respect doesn’t really want us to. So I think preempting was part of this broader concept of self-determination about which Zionism was all about. Shibley, maybe you could talk a little bit about—keying off this—about the strategic calculations, the change, particularly for the Israelis and the Arabs as a result of the war, but also for the United States? TELHAMI: Sure. Just to start with on sort of the war itself, I mean, there’s no question Ken is right. Obviously, the Arab states did not accept Israel in the first 20 years, and that was, you know, part of the Arab nationalism and Nasser’s nationalism. But what is most likely is that when Egypt started this series of events, it wasn’t intending to go to war as such. Rather, they probably wanted to reap political benefits to empower Nasser in popularity in the Arab world, as opposed to actually launch a war. And there’s a whole debate about, you know, what the Israelis—whether the Israelis accepted that or knew that. But I think whether or not there was an imminent attack on Israel I could see the other side of it, which is you can argue that had the Israelis—let’s say Nasser doesn’t attack and Israel doesn’t attack Syria. He essentially threatened them not to attack Syria. He would have probably reaped the benefit of being powerful. Israel would have looked like it was politically withdrawing because of his threat. So there’s no question that the political—it would have been a political win for Nasser if there wasn’t a war. So how much of that went into the calculation is another issue of debate. But the outcome was huge. I mean, obviously, it was devastating for the Arabs. There’s so much literature written on this, by the way, in Arabic, including poetry. The whole defeat idea wasn’t even accepted for a whole year. It was a setback, because Arab nationalism was so powerful and reached the hearts of many Arabs across the Arab world, and Nasser was seen to be, you know, godsend to liberate Palestine and, you know, fulfill the aspirations of the Arab nation. And here he was devastated. It was sweeping defeat. There was no way of, you know, describing how people felt. So, in some ways, undoubtedly it was a major setback and decline of Arab nationalism. We see that afterwards. But the second is, you know, in Egypt itself, one of the things that we don’t understand, the question was asked: Were the seeds for ’73 planted in this defeat? Of course they were. And Egypt started planning for another fight right away, not only for the credibility of Egypt and credibility of Arab nationalism—Nasser started it before he died in 1970; it wasn’t Sadat who started the planning—but there was even something we always don’t understand. Egypt, since 1952, has been a military regime. And you know what? The military was devastatingly defeated in 1952. And that was the source of legitimacy for their rule, is the power that they held. And here they were. You should hear, you should see, you should read the jokes that were made about the Egyptian military right after ’67. So the Egyptian military had to have another day for restoring their dignity and really the legitimization of their own rule, even separate from everything else that was there. But the consequence—probably the most important consequence was for the Palestinians. And it wasn’t just because the Palestinians had bet on Arab nationalism—and, obviously, they were disappointed in a big way—but also the rest of Palestine came under Israeli control. Israel came to control the West Bank, including East Jerusalem, and Gaza. And more than that, I happen to believe that this was essentially the seeds of declining Arab support for the Palestinians, as well as the seed for the rise of Palestinian nationalism. Immediately after ’67, the Palestinians start to own—the PLO really starts independently from the Arab state because they were fed up with the inability of the Arabs to do their bidding. And you can see that, as Ken remarked accurately, that the fact that the war resulted not only in Israeli occupation of the West Bank and Gaza, but in Egyptian territory and Syrian territory, meant something very different, which is that Israel possessed territories that Egypt and Syria wanted even more than they wanted to help Palestinians. And thus were the seeds for bilateral agreements—and eventually the Syrians held out, for sure, but they entered a bilateral negotiation with Israel. It failed in 1999, but they entered it. And certainly, it was the seeds for the Camp David Accords between Egypt and Israel. One thing about the American side, because I think one thing that we don’t really fully understand here is ’67 was a juncture that was critical for American foreign policy. We speak of the first 20 years. If you read a textbook on American policy in the Middle East, as we were—we’re all teaching some of those, and it said what are America’s interests in the Middle East—containing the Soviet Union, assuring the flow of oil at reasonable prices, and helping Israel, right? Those are the three—the three things. Well, actually, the U.S. really didn’t deal with these so much directly in the first 20 years. In ’67, for a variety of reasons including the war, all of these suddenly become important for the U.S. Why? Because the British forces were beginning withdrawal from the Gulf region. Frankly, America didn’t have the responsibility for defending oil sources because the Brits had their bases, and they were beginning to withdraw. Israel was getting its cutting-edge weapons, including their air force, not from the United States, but from France, and France says in ’67 we’re no longer going to supply that. And in ’67 the Arabs are so devastated that they desperately need Soviet help, to the point that they acquiesce in the presence of Soviet troops on their soil. So all of the three things that the U.S. said are important to it suddenly become important for—you know, there is a—there is a vacuum, there is a need for the U.S. to get involved, just as the U.S. has what? The Vietnam syndrome, where no one is expecting the U.S. to be involved directly. And so this was kind of an interesting moment where the U.S. is going to have to pick up the support for Israel from France at the same time that Israel suddenly emerge as a really powerful nation, more than anyone had expected, in the ’67 war. And obviously, it leads to what comes next, which is an American strategy which was focused on empowering Israel and empowering Iran as a way of arranging America’s interests in the Middle East without direct involvement. So it was a huge impact, both strategic for the American role—it redefined American foreign policy in the post-’67—and reorganized regional priorities where it diminished the question of Palestine in Arab priorities and clearly gave rise at the same time to Palestinian nationalism. Note that, obviously, the term “Palestinian” was not even mentioned in U.N. Resolution 242 after 1967 because that wasn’t really—Palestinian—the Palestinian cause was seen as part of the bigger Arab cause, not something that stood on its own at that time. ANDERSON: Can we just, before I get to Ambassador Indyk, ask you to take up, in a sense, Professor Stein’s counterfactuals? You say that as a result of the war, you see the development of Palestinian nationalism and the decline of Arab nationalism. Would that not have happened had there not been the war? Since you started by, you know, kind of what Egypt was looking for. TELHAMI: I wouldn’t want to make that argument, that is, that there was a sense of Palestinian identity that, you know, people have traced that precedes even 1948, right? So I’m not claiming that it—you know, if no ’67 defeat, no Palestinian nationalism. What I’m claiming is that between ’48 and ’67 but particularly after the rise of Nasser, Palestinians were so inspired by Nasser’s message—and obviously, their cause is being championed by the most powerful country in the Arab world, and he’s saying, you know, you are the heart of the Arab cause, so there he’s championing the cause as the heart of the Arab cause. And so they defined themselves as they embraced Arab nationalism, they embraced Arab nationalism. And even, by the way, all the way until 1982 when the PLO was defeated in Lebanon—if you read the PLO magazine—even after that, when people, disillusioned by the fact that Arabs didn’t come to help them—said, who is an Arab, there was—who was a Palestinian? They say, a Palestinian is an Arab first and Arab second and Palestinian third. So it was—such was the strength of Arab nationalism on the Palestinians, they embraced it. STEIN: Just one quick point: Without the ’67 war, you would not have had the emergence of Palestinian historiography. There is a whole slew of literature which now comes available because people are now looking at the Palestinians separately and apart from the Arab states. I was part of that group of folks in ’70s and ’80s that looked deeply at all aspects of Palestine, Palestinians, where were they, where they came from. And that continued well into the 1980s. I just need to say that as a historian: I’m not sure that Palestinian history or historiography would have had such a kick-start had you not had the ’67 war. Martin, so we’ve now started—everything has changed. All of the—the kaleidoscope turned in ’67. And then it seems to have gotten stuck. Is that fair in terms of the diplomacy that followed the war? INDYK: Not really. It depends on your time frame, if we’re doing the sweep the history. One can clearly see that the ’67 Six Day War was a critical turning point in terms of the diplomacy of peacemaking, partly for the reasons that Kenneth and Shibley have said, that the Arab states started to go their own way. And you can see the ’73 war, in a way, as the necessary precursor to a state-to-state direct negotiation that took place after ’73 and led eventually to the Israeli-Egypt peace treaty, the Israel-Jordan peace treaty and some very detailed negotiation between Israel and Syria, which essentially resolved those issues as well. And we can come back to that if you want. So you can see that shift. But there are several other factors that were important. And Shibley mentioned or Ken mentioned U.N. Resolution 242. That was introduced after the Six Day War and it remains, even up till today, 50 years later, the defining resolution, the basic principles for the resolution of the Arab-Israeli conflict. And that provided for several things which enabled American diplomacy to function. The first was this contrast, contradiction, apparent tension, I should say, between the principle that 242 enunciated of the inadmissibility of acquisition of territory by force. But the second point that it introduced was that there should be peace treaties that provided for secure and recognized borders. And the language on withdrawal was—and some of you may know this arcane history, but the language on withdrawal said Israel should withdraw from “territories” occupied in 1967 rather than from “the territories.” And so in those tensions and ambiguity, there was room for diplomacy. What 242 did not provide for was actual direct negotiations. It provided for a U.N. envoy—Gunnar Jarring, as it turned out—to go between the parties. But the Arabs would not accept direct negotiations with Israel. That only came after the 1973 war, when Henry Kissinger and Secretary-General Brezhnev of the Soviet Union negotiated the Resolution 338, which provided for direct negotiations. So up until then it was—it was done indirectly, first by Jarring but more particularly by Secretary of State Rogers, much to Henry Kissinger’s chagrin—(laughter)—and Joe Sisco. And the active diplomacy was around trying to work out some form of disengagement process between the Israelis and the Egyptians in particular, which in the end came to nothing, but after the ’73 war, then it was possible to move forward into these direct negotiations. The other thing about 242 that played itself out after the ’73 war was the enshrining of the principle of the exchange of territories for peace. That was the basic principle of 242. And the key thing here was that U.S. policy from 1967 on accepted that Israel should not withdraw from the territory except in return for peace agreements. And so that enabled the Israelis to use the fact that they controlled all of Sinai, Golan Heights, the West Bank as a means of achieving the peace agreements with the Arab neighbors that they sought. But last point on this is that the Israelis actually took a decision on June 17th, 1967, immediately after the Six Day War, that in the context of such peace treaties, they would return all of Sinai to Egypt, to the international border, and they would withdraw to the international border with Syria. And that was a formal Cabinet decision that was taken then. And by the way, Menachem Begin and the Likud were members of the coalition government that took that decision. But on the West Bank, they had a fascinating discussion, which 50 years later is still being repeated, which is, if we hold on to the West Bank for religious or historical reasons because it’s the land God gave to Israel, what do we do about them? There was 1 million Palestinians. What do we do about the Palestinians then? And I won’t go into all the details, we don’t have time, but the—but the fascinating thing was they decided not to decide, to just establish a military occupation and figure out somehow later on what would be done. And even to this day, the Israelis have still not decided what to decide. And U.S. diplomacy, despite its success in getting the Israel-Egypt peace treaty with Jimmy Carter’s intervention and the Israel-Jordan treaty with Bill Clinton’s intervention, has not been able to move the Israelis and the Palestinians to a final status agreement, notwithstanding the various efforts undertaken by three or four presidents, the Clinton parameters, the Oslo Accords. But in the end, it’s been 18 years since there’s been any Israeli-Palestinian agreement, and I’m afraid to say that the prospects look no better today. ANDERSON: I think that’s what I meant about “stuck,” that—(laughter)—so in a sense, yes, it’s been long and complicated, but we still have some of the same dilemmas we had on the morrow of the war confronting us all. I think that’s true. Ken, tell us perhaps a little bit about that moment when there were decisions being made about what the consequences of this would be, particularly, as Martin suggests, within Israel, of that—how people were thinking about it at the time. It was a surprise to everyone. STEIN: It was a surprise. There is no evidence to suggest that Israel had any intentions to occupy the West Bank or Golan. I think they just wanted to paste it on Nasser if possible. And there was a dilemma within Israel, and that same dilemma, that same debate that Martin so aptly described as, what do we do with the territories? In ’67, there was no doubt about who the address might be. The address was Jordan. And we evolved something called the Jordanian option. And the debate then between the Palestinians and the Jordanians was, who should be the address? And there was this animosity, venom, dislike between Arafat and Hussein, which goes until 1988, until King Hussein puts up his hand and says, I’m not going to compete with you anymore about who gets back the West Bank; I’m getting out of this administrative position in the West Bank; if you want to stay, you’re going to have to deal with the Israelis. I think in Israel, there was no doubt about—that Sinai was sovereign Egyptian territory. I don’t think there’s any doubt about it. I think the Israelis had a very different attitude about the reunification of Jerusalem and that Jerusalem should be the undivided capital of the State of Israel forever, which is another point about sovereignty of the decision-making of a state versus the international community, which we can get back to in a moment. But I think one of the reasons we haven’t had any real progress in I mean a substantive way like we had with Jordan-Israel and Egypt-Israel is that the West Bank is—the sovereignty of the West Bank is open in the minds of both Palestinians and Israelis. In other words, there are parts of the Israeli body politic and certainly parts of the Palestinian body politic who believe that that area belongs to them for one reason or another, and you can’t get consensus, either in Israel or within the Palestinian community, about who should have that land from the Jordan to the sea. So it’s far easier to end up negotiating about Sinai and maybe even the Golan. And there was no real territorial return to Jordan in the 1994 treaty. But dealing with the West Bank, that has, you know, the essence of Palestinian national identity attached to it and the essence of ancient Israel’s map. Two points which Martin raised, if I may. 242 is explicit by its ambiguity. There’s no doubt about it. But individual presidents have interpreted it differently. Some presidents have been very precise about saying, including Donald Trump, who just came back from Israel and said, the agreement will come from within—he said it twice, the agreement will come from within—whereas you have other presidents who have been very specific about saying, this is occupied territory, that should be part of the negotiations. And presidents and administrations have changed over time. And they have changed their emphasis over time. And needless to say, we’ve had Israeli prime ministers who have changed over time. And the last point I want to make is this one: Israel declared at the end of June of 1967 that Jerusalem should be the eternal capital of the Jewish people. It then made it a basic law for the State of Israel in July of 1980, one of the five—one of the basic laws. Then we have U.N. resolutions that specifically say that Jerusalem, the occupied territories are—Jerusalem and the West Bank are occupied territories. Now the question arises in international law, which I’m not a—certainly not a specialist: Who is supreme? The individual state that’s making a sovereign decision about what belongs to it, or does the international community have a decision to make and says, this should be open to negotiations because that has to be part of what will be ultimately the Palestinian entity? I mean, these are really tough questions. And I can fully understand why you can’t get to an agreement, let alone the fact that Shibley I’m sure would agree that the Palestinian community is now speaking for itself for the first time in a long time, but it’s about as divided geographically and ideologically and physically as it’s ever been. And that’s part of the problem of not reaching a consensus on let’s end the conflict once and for all. ANDERSON: Shibley, do you agree? TELHAMI: Well, I mean, let’s just think about it a little bit differently, I think. You know, I’m looking at it through—if you look at the Palestinian part of it, particularly, I’m looking at—you know, 242, of course, didn’t refer to it, but it was obviously considered to be occupied territories by the international community. And it some ways, that term, “occupation,” which obviously Palestinian preferred, Arabs preferred, has been actually a mixed blessing for the Palestinians—maybe this is something that is not fully understood—because on the one hand, you know, it doesn't mean that Israel—it’s not Israeli territory. It does mean that Israel—there are certain things it cannot do that are, you know, under international law, certainly, and that it’s somehow, you know, a temporary state of affairs. But on the other side, I think that it has led to a certain kind of complacency in the international community in a way that it allowed people to oppose the occupation while acquiescing in the occupation. What do I mean by that? I mean when you envision 242—and then 388, which came out in 1973—they call for essentially immediate withdrawal. It wasn’t supposed to be—occupation is supposed to be a temporary state of affairs. It’s not supposed to be something that is going to last 50 years. And so everybody accepted that assumption, that it’s relatively temporary, subject to negotiations. And we’ve had many negotiations, over and over again. But the occupation has not ended. And so we’re now, you know, commemorating the 50th anniversary of ’67. It’s also the 50th anniversary of the Palestinians being under occupation. And put aside, you know, the legalities, put aside for now right and wrong, just think of the moral dimension of this, where in some ways, when we say, well, let’s go negotiate, you know, this only calls for negotiations, so we started new negotiating process; we’ve been at it for 50 years, and we have failed. And so in some ways it has provided a fig leaf for us in the international community to say, well, we have negotiations now, so let’s forget it. And before we know it, it’s a lifetime, it’s not a temporary state of affairs. We accept occupation because we understand it’s a temporary state of affairs. The overwhelming majority of Palestinians in the West Bank have been born under occupation. Many have been born and died under occupation. It’s been a lifetime. And you know what? If you ask me as an expert, you know, what is likely to be the case in 10 years, I will tell you the safest bet is the status quo, plus or minus. That is the safest bet. I mean, obviously, that’s not what I want to see. But that is the safest bet. And so something is wrong here in this state of affairs. But I want to go back just for a minute to this—to what Martin talked about, the ’67 deliberation in the Israeli government and what Ken said was sort of ambivalence, Israeli ambivalence about what to do in the West Bank. We need to learn more about it. I think there probably is a lot that hasn’t come out. A lot has come out, but a lot hasn’t come out. But you go back to a similar conversation, Martin, in 1949, when the discussion in the Israeli government with Moshe Sharett leading the conversation about the armistice line between Israel and Egypt, Israel and Jordan, Israel and Syria. And so he put it out there theoretically to the government. He said, if we are offered permanent border between Egypt and Israel along the armistice line today between Israel and Egypt, we should take it. If we are offered with Syria, it’s theoretically acceptable, but we don’t like the government there. So it was about the government, not about the armistice line. But if we’re offered permanent line with Jordan and peace treaty, we shouldn’t accept it. Now, because there was the ambivalence, it’s going back to the very origin of the state. It’s not just a ’67 decision. And so obviously, there were people who were favoring, you know, a different—a different decision at that time. STEIN: I wouldn’t like to have seen sometime in the last 50 years a Palestinian leader who would’ve said to the Israelis, if you withdraw to the ’67 lines or very close to it, we will recognize you and the conflict is over. But you have to withdraw to the ’67 lines. INDYK: Well, they’ve said that quite a few times recently. STEIN: That the conflict is over? INDYK: We were negotiating an end of conflict. STEIN: Right. Without the right of return? INDYK: Will they accept Israel’s right to exist? Yes. Will they accept Israel’s right to exist as a Jewish state? No. STEIN: Without the right of return? INDYK: Well, that has to be negotiated. INDYK: —one point about—what’s interesting about this 50 years also for me is that U.S. policy has changed very little on the basic principles. From the U.S. point of view, actually, Secretary of State Rogers defined the line of withdrawal was the—line of withdrawal would be ’67 lines with “minor border rectifications,” quote-unquote. And that has been and remains U.S. policy. Now, maybe Donald Trump will change it, but what’s interesting about Donald Trump is that notwithstanding this, you know, two states, one state, whatever the parties agree to line, when it came to the issue of Jerusalem, he didn’t move the embassy, which is consistent with 50 years of U.S. policy. He went to pray at the Western Wall as a private individual. He did not go with his ambassador because I can tell you as a former U.S. ambassador to Israel, U.S. ambassadors are not allowed to go into what’s referred to in U.S. policy as “occupied territory,” which includes East Jerusalem. So David Friedman, the ambassador—I was watching this carefully—he went there to pray before he presented his credentials. But he hasn’t been there since, and he did not go with Donald Trump. And Donald Trump did not take any Israeli official with him. TELHAMI: And they offered to go with him, Prime Minister Netanyahu? INDYK: It’s just—of course, U.S. policy did evolve considerably on the issue of the Palestinians because 242 did not—and we’ve already discussed this—did not refer to the Palestinian issue except as the need for a just settlement of the refugee issue. But since then, you know, we started with Jimmy Carter talking about self-determination for the Palestinians. Then we had the Clinton parameters. Then we had George W. Bush coming out in favor of a Palestinian state, and then we’ve had the Oslo Accords and so on. So there, where policy was not defined in 242, there has been a considerable evolution. Yet there is still not any agreed U.N. resolution, international basis for the final status negotiations between the Israelis and the Palestinians. And that is a problem. It was a problem that John Kerry was trying to fix at the end of the administration by his efforts to introduce the Kerry principles, which were meant to be adopted by the U.N. Security Council resolution and would have provided the parameters for a two-state solution, would’ve updated 242 and provided international legitimacy for it. Well, that got completely hijacked in a ridiculous resolution on the settlements, and the effort failed. So here we are again. There is no agreed basis for a final status negotiation between the Israelis and the Palestinians. And if Jason Greenblatt is trying to make Donald Trump’s, you know, ultimate deal, he is going to be confronted with that same problem: If we’re going to have negotiations, what is the basis for the negotiations? STEIN: There is no question that the United States since ’67 has been the most articulate country in favor of upgrading Palestinian political rights, more so than any other country in the world. We’ve gone through legitimate rights to legitimate political rights to self-determination to a two-state solution. I don’t think even the Europeans, who have been very much the advocates of Palestinian identity and helping the Palestinians—the United States singularly has been that catalyst from the mid-’70s onward. TELHAMI: Well, that’s actually not fully true, right? Because you have Europeans states who’ve accepted the state of Palestine as an independent state and treat with it diplomatically as a state. And, obviously, they give it a lot of aid. But here is the thing that we should think about. I think you’re right that the U.S. has come to deal with the Palestinians directly, obviously dating back to the Reagan administration with the PLO. But really, Palestinians weren’t accepted as a partner or somebody to talk to until Martin Indyk was Clinton’s adviser. I’ll blame it—I’ll credit Martin Indyk for it. But really, it was through Israel. I mean, let’s be—let’s be realistic about this. The PLO and the Palestinians come to town through Tel Aviv. They don’t come through town on their own. They were brought here through the Oslo agreement. Rabin brought them here. And the relationship is warmest when, you know, the Israelis accept it, and it’s colder when the Israelis don’t accept it. It’s become semi-bilateral, semi-bilateral, and particularly when there is a prime minister of Israel that America doesn’t like, as happened with this prime minister back one—you know, in the late 1990s. But in general, I don’t think that there is an embrace of Palestine by the U.S. that is independent from Israel. I don’t see it. What I do see is that there is a public opinion—as you—many of you know, I do public opinion polling here. And there is kind of an interesting thing taking place in America. When we started all this back in the 1990s, America was very much—you know, Americans generally want to take neither side of the conflict, historically. This is the—you know, majority of Americans don’t want to take sides. But of those who want to take side, overwhelmingly, Americans supported Israel over the Palestinians. And that dates back, you know, to a quarter century. And that used to be bipartisan. What we now have is really a dramatic shift in public opinion. As you know, America is polarized on everything, including on this one. So what we find is that Republicans have become overwhelmingly pro-Israel, according to—you know, when you ask Republicans, do you want the U.S. to take Israel’s side, the Palestinians’ side or neither side—overwhelmingly, they say, Israel’s side. Majority say Israel’s side. Not even—not even neither side. And about 1 percent or 2 percent say the Palestinian side. Among Democrats, the overwhelming majority want to take neither side. And among—and those who support Israel and support the Palestinians almost equally, a little more for Israel but not much more, just a little above the margin of error. So a lot—a lot has happened. The Palestinians have actually gained presence in the American public in a way, but only in a polarized America. That is, we are on one side but not the other side. But I wouldn’t say—I still think that it’s very much a function of whether the Palestinians are seen as an asset to Israel or not. ANDERSON: All right. I have about a hundred more questions, but I want to open it to our members and ask them to offer up questions or comments. Please tell us your name and remember that this is on the record. Sir. Wait for the microphone. Q: Thank you. Yes. My name is Roland Paul. I’m a lawyer in Greenwich, Connecticut. I would direct it to Martin Indyk, but whoever happens to know the answer, I would of course welcome it. There were two Israeli prime ministers, if my history is correct, who made very generous offers to the Palestinians, and I mean Olmert and Barak. But they were not—but the—they didn’t go anywhere. I am told by somebody who thinks he knows—he was I’ll say fairly close to AIPAC—that the reason it was not accepted by the PLO was that they believed, the PLO leaders, thought that Hamas would kill them if they did. So I would welcome your clarification. INDYK: Well, it’s complicated. And I think—I’ll try to give you the short version, but let’s just focus on the negotiation that went the furthest, which was under Clinton with Barak and Arafat. At Camp David, Arafat was offered a generous deal when it came to territory in the West Bank, something between 92 and 95 percent of the West Bank. But in Jerusalem, Israel would have retained sovereignty of the Temple Mount/Haram al-Sharif, which is the surface of the—of the Temple Mount where the Al-Aqsa Mosque, the third holiest mosque in Islam, is located. And Arafat used that as his reason for not accepting what Barak had offered—Barak and Clinton had offered at Camp David, that he could not accept that without going out and killing himself, is what he said. “I’ll take a gun and shoot myself if I accept this, because otherwise they will come and shoot me,” they being the Arabs and Muslim. That—and then bear in mind that we were negotiating an important—an end-of-conflict, end-of-claims agreement. So if he had accepted it, that would have been it in terms of Palestinian claims in Jerusalem. Now, six months later—and people don’t bother to focus on this part of the history—after Camp David, Arafat was offered a better deal in the Clinton parameters, which were presented by Clinton, formally, U.S. policy, at the end of the Clinton administration, and in December of that same year. And there, the Palestinians were given sovereignty over the surface of the Temple Mount, and Israel would have sovereignty over the wall and what lay beyond it. There are a few other details we don’t have time to go into. Territory was between 94 and 97 percent of the West Bank. And so that was a much better offer, from Arafat’s point of view. And he didn’t respond or said that it wasn’t enough, and he had to negotiate some other issues, and essentially, he did not accept it. And the Israeli government did accept it. Unlike those who say that they didn’t, I was there with my fax machine in the residence when the official transmittal letter came from the Cabinet secretary to me from the U.S. government to say that they accepted it. were very high at that point. That’s before Hamas introduced suicide bombings. And at that point, the anger in the Palestinian street, particularly in the refugee camps, was very high, and Arafat did not have the courage to stand in front of his people and say I got you Jerusalem, but you’ll have to give up the right of return, because the Clinton parameters provided for the right of return to be exercised in the state of Palestine, not in the state of Israel. And so he preferred to wait for what he thought would be a better deal, better circumstances. And unfortunately, you know, it’s—that was the moment in which the deal needed to be done. Everything after that has been kind of downhill. We’ve never really come close to that. And the Olmert offer was on a napkin. You know, Olmert was about to be indicted. I don’t think it’s a good test. But the Clinton parameters was the test, and Arafat decided not to accept it. ANDERSON: Right in the middle. Thank you. Q: Raghida Dergham of Al-Hayat and Beirut Institute. STEIN: It’s important. Tell that to a sovereign state. Q: If you have dictators, some who are saying my sovereignty comes before international law, then we really have chaos in the world. So what I’m asking you is to take it forward, take history forward and say if we’re going to have basis for negotiations now—the ones that Trump is looking for, let’s say—could they be that 242 plus 1555, let’s call it that resolution—what is it? Q: 1397 is different one, I think. Q: OK, whatever. Doesn’t matter. The number doesn’t matter. The two-state one. Can you take it from here? INDYK: Well, as I was saying, you know, that’s a basis, but it’s not an adequate basis. 242 does provide for the ’67 lines to be the basis for the negotiation, but that’s unclear and can be disputed, and indeed is disputed by the current Israeli government that does not accept the ’67 line as the basis. And, you know, because of the ambiguity in 242, it allows for that kind of interpretation. A two-state solution, yes, that’s an important basis for establishing, you know, an independent Palestinian state. You could move from there to saying, well, you know, what is the state going to look like? But if you don’t have the ’67 lines as the basis for drawing the map, then it’s impossible to actually figure out what the territory is going to be. And then you’ve got Jerusalem, refugees, security arrangements, and end-of-conflict mutual recognition. All of those issues require some kind of parameters or principles to be able to get a negotiation that will actually reach an agreement. I say that with some passion even though I’m trying to stay calm because that’s what we spent nine months wasting our time doing. Because we didn’t have a basis—I’m talking about when I was in the special envoy—because we didn’t have a basis for this final status negotiation, we could not get the two sides to actually close the gaps in their positions. They were happy to lay out their position. But in terms of negotiating, we couldn’t put a map on the table. And I’ve got to say this again. Take history forward. Donald Trump, Jared Kushner and Jason Greenblatt are real estate people, you know? (Laughter.) That’s what they know. I don’t think they know the Arab-Israeli conflict, but they sure as hell know real estate. And, you know, as Trump himself said in complaining about the settlement activity, he said, you know, I’ve got a problem with this because the more you settle, the less land there is to do the deal in. So I think he basically gets it at a fundamental level, right? And if they were able to persuade this Israeli government to agree that we’ve got to put a map on the table and you’re going to draw a line and the Palestinians are going to draw a line and now we’re going to try to figure out what the line should actually be, that would be huge progress. But unfortunately, I don’t think it’s possible without the current Israeli government collapsing. TELHAMI: So, I mean, you know, the point is put aside Trump himself—because it’s hard to know whether—you know, what the foundation of the proposal is or whether we could talk about the proposal substantively. Put that aside. It is really impossible to envision any successful negotiation between Israel and the Palestinians without some term of reference, because the asymmetry of power is just so blatant, but there’s absolutely no way to get started. If it’s not 242, it has to be something like what has been agreed upon, or some other kind of markers, because it’s just impossible to start. And so it’s a nonstarter. It’s just—it’s not going to work. But here’s the thing where I think Trump captures something, whether intentionally or just inadvertently, and that is that, you know, when you look at it, there are a lot of people who say it’s too late for two states—and a lot of people, an increasing number of people. And that actually includes the majority of Israelis and the majority of Palestinians, who want two states—include—in fact, the latest Israeli poll, by the way, almost half say they want two states. They still support it, even in this environment, which is really remarkable. But when you ask them what’s the chance it’s going to happen, the majority say it will never happen, and it certainly won’t happen in the next five years. The same thing in our public opinion. And in America, when you ask people: Do you want the U.S. to seek two states or one state, they’re almost equal now. About 38 percent want two states and 33 percent want one state, even here in America. So if in fact it’s—if this large group of people are right that there’s no chance for two states anymore—and obviously no one is calling for the return of this territory that was occupied through Jordan—so how could you negotiate that on the basis of 242—I mean, realistically? I mean, let’s be blunt about it. I mean, so there has to be—I mean, should we contemplate ideas—unless you stick just with the two-state solution and you take the position, which many of us take, which is it’s still possible, the only one that can really work, and then we’ll make it 242. But if you’re going to deviate even slightly from the two-state solution, or take the argument it’s no longer possible, I’m not sure 242’s going to get you anywhere. And there has to be something else in the conversation other than 242. ANDERSON: OK, sir, right here. Just a very quick question. Martin, who negotiates for the Palestinians in this map drawing exercise? INDYK: It’s a good—it’s a good question. I say that because, as Ken mentioned, the Palestinian polity is divided between Fatah, which controls the West Bank, and Hamas, which controls Gaza. And the—officially, legally, the negotiating representative of the Palestinians is the PLO, not Fatah or Hamas. It’s the PLO. But Hamas is not in the PLO, so they’re certainly not negotiating on behalf of Hamas. INDYK: We put it on the shelf. But it is a problem. As long as that continues, the Israelis have a reasonable question: Who are they negotiating with if the PLO doesn’t control part of the territory that’s supposed to be going towards a Palestinian state? And, you know, so if you follow the logic of that, then what you need, the pre-condition is for Hamas and Fatah to unite under the PLO umbrella and the Palestinian Authority take control in Gaza, but we could be waiting a very long time for that to occur. STEIN: Lisa, can we—before we get—before we just focus on the Palestinian-Israeli thing, can we talk about the Six Day War and still its broader impact upon the Middle East a little bit? STEIN: OK. All right, briefly, questions that remain unanswered for me are to what degree did the Six Day War—as Fouad Ajami has said, it was the beginning and end of Pan-Arabism. Was it the beginning—of end of Arab—of an Arab national state? And are what we seeing today the fraying of the Arab national state because of the inability or the lack of governance structures and the focus that was too much, too long spent on the Palestinian issue? The second question I have is, Israel’s taking of Jerusalem. Did Israel’s taking of Jerusalem have any impact on the evolution of Islam as a platform for political mobilization? And what did that do to people like Qaradawi and other fine Arab Muslim Islamic intellectuals, and say to themselves it’s now under Jewish control? I don’t have an answer to that. And the other reality is, as far as Israel’s concerned, 80 percent of Israel since 1967—80 percent of Israel’s time has been governed by someone of the right, not of the left. In other words, the ’67 war was the beginning of the end of the dominance of the Labor Party, and that has had a major impact on how Israel sees the region, how the United States sees Israel, and how the rest of the world sees Israel. And the last point that I think is really important is, Israel and Egypt, when they came to an agreement, they came to an agreement because Sinai was—returning Sinai was a mutual interest both to the Israelis and to the Egyptians, but they both had the Soviet Union looking over them. They had a common external threat. Are we seeing a renewal of that with the discussion that’s now going on about alliances of convenience rather than conviction between Israel and some of the Sunni Arab states? In other words, there are precedents in the ’67 war which we may not be able to find a direct line to the contemporary, but certainly the issues were raised. And we may not have answers to this for another 20 to 30 years, but they are very important. And I would disagree with one point that Martin made. The ’67 war was not a benchmark, and I don’t think it was a watershed. I think it was transformative. I think it transformed the Middle East. I think it transformed the Arab-Israeli conflict. And it certainly transformed the reality of the Palestinian people. INDYK: I think I said it was a turning point. STEIN: Oh, maybe turning point. INDYK: Do you disagree with that? STEIN: Oh, that’s all right. Turning point’s good. (Laughter.) But I’m—like Sadat’s visit to Jerusalem, or the shah’s fall, it was a right-hand turn, right? ANDERSON: I think you’re beginning to set the agenda for a whole series in the history series, so we’ll be coming back to some of that. Q: Barnett Rubin, Center on International Cooperation. Q: Yes, cafes, yes. (Laughter.) They exist on the Upper West Side of New York—(laughter)—not so much in Israel. Where I live. Now, another thing that has changed since that time is of course the, really, collapse of the Arab state system, the rise of the Islamic State civil war in Syria, al-Qaida, Libya, Sinai, and so on and so forth. Partly in response to that and partly as an excuse for not doing something he never intends to do, Netanyahu said the other day that under any circumstance the Israeli army—and he’s said this before, I think; I just saw it the other day—has to have complete security control of the whole area between the river and the sea. That means there is no two-state solution until the Arab world is completely stable and there’s no danger from the Islamic State and al-Qaida. So talking about two states is just an excuse for continuing what we call the occupation. But can we really call it an occupation? Because given what he said—which I think I believe, and I believe that it’s fixed and it has a logic behind it—this map is irrelevant, the map here with—you know, showing the green line—which, by the way, it’s a map you don’t see in Israel. They don’t use this map. And the question is, how is power going to be exercised in the area between the river and the sea? One power, one army, where some people are citizens and some people are not, or one army where everyone is a citizen? STEIN: You raised a terribly important point, is that the structure of the region has changed dramatically and drastically since ’67. You had stability, you had Arab leaders who were autocrats and they controlled everything and everyone. Look how different it is 50 years later. And if Israel’s making an agreement with the Palestinians, it also has to understand what does that mean to Jordan and what does it mean to its east, and who’s in control of the east, and who’s in control of the north. It’s a very different Middle East than it was in 1967. TELHAMI: May I make a simple suggestion in my own mind? I’m looking at this now as a moral issue. You know, we all are talking about it of course as an American interest issue—and it is. But I think when you—when you are looking at the 50 years of occupation and you’re looking at what’s happening on the ground, it is something that is really intolerable and unacceptable. We don’t have—we don’t know what the political solution will be. It might, hopefully, two-state, or it could be something else. But what we do know is we have no control of it, and what we do know: We’ve been wishing this for 50 years and it hasn’t happened. And it might last another 50 years. Who knows? So I would—in my own mind, I say pursue whatever you want to pursue. I’m still, you know, in favor of strong diplomacy to pursue a collective rights agreement, meaning sort of between two national movements. But in the meanwhile, I think we should just call for individual rights. We cannot allow the idea that we are engaged in diplomacy and there is no solution that’s diplomatic to stop us from calling what’s wrong wrong on the ground and calling for rights. So, whatever the solution might be, whether it’s going to be a two-state or one-state by default, or something else down the road, I think we cannot tolerate what is going on on the ground, and we need to call for that now, not wait for those diplomatic solutions, that is, call for individual rights now even as we negotiate an outcome, whatever the outcome may be. And, obviously, there’s a lot of uncertainty related to it, but I think unless we decouple those two issues, that we’re in for another long and morally unacceptable period. ANDERSON: Martin, is that a plausible way of thinking about American policy now? TELHAMI: Martin, I’m not wobbly. I’m very strong, and the strength is that I—we’ve been at it for so long. I can’t—you know, I worry that we as elites—political elites, we have a moral dilemma. We can’t—we can’t stop calling for a two-state solution for the following reason, particularly America. If I look at American politicians, we know what the—what the immediate outcome would be. You’re either going to have a Jewish state that’s not democratic or you’re going to have a democratic state that’s not Jewish. That’s the outcome. And what American politician is going to advocate either one? No American politician’s going to say I want a Jewish state that’s nondemocratic, and no American politician’s going to say I’m going to embrace a democratic state that’s not Jewish. And so therefore, the two-state solution right now is the intellectual escape for all of us. And you know, the interesting thing is the American public doesn’t have as much ambivalence, because when you ask people in my public opinion polls if it comes down to the choice of Israel being either a Jewish state but not fully democratic, or a democratic state that’s no longer Jewish, what do you think it would embrace? Two-thirds of Americans say I would take a democratic state that’s not Jewish. And that—by the way, that’s one thing and one of the few things that Democrats and Republicans agree on, that is, a majority of Republicans also say that. So what I’m saying is that, you know, we have a dilemma because there’s no alternative to it, and so therefore, fine, let’s keep negotiating and let’s try to find out a solution, but can we really allow this ongoing negotiation to cover up the reality on the ground that is painful and just use it as a fig leaf for us to not speak out on what’s wrong on the ground? So I’m saying don’t make the two—I’m not saying stop negotiating. I said accelerate the negotiations, even. But what I’m saying is, in the meanwhile, you’ve got to find a way to call for individual rights on the ground before states and political entities make a deal, because 50 years is a long time for people to be under occupation. INDYK: Right. So I think there’s—that’s quite a compelling argument, especially because, you know, the definition of insanity is trying to do the same thing over and over again and expecting a different result—and I can speak from 35 years of experience—(laughter)—in that regard. So the problem is that the alternative to a state-solution is no solution. It’s a continuation of the conflict. And the continuation of the conflict leads to the very dilemma that Shibley just pointed to, especially for Israel, because up until now the Palestinians have been calling for a two-state solution. But as soon as they start calling for equal rights for themselves in Israel, as Israeli citizens, then the ability to negotiate a two-state solution is going to decline quite dramatically, and at that point the struggle really becomes over individual rights for Palestinians in Israel. And that is going to lead to a really difficult situation for Israel, and therefore for the United States as well. So my preference is to see—is to try to work out a two-state solution. I do not believe now that it’s likely, it’s on the cards, given what we talked about on the Palestinian side, and what we haven’t really discussed, but the reality on the Israeli side. The ability of these two leaders to actually make a deal is, I think, close to zero. So what do we do? I’m not sure what Shibley means by individual rights specifically. TELHAMI: Human rights, human rights. We need to call for human rights. INDYK: Human rights, OK, fine. Well, I think—I certainly agree with that, and there’s a lot that can be done in that regard. But, you know, the situation—I mean, it’s something that the Israelis are amenable to. They change slowly in terms of check points and the arbitrary arrests and the role of the Israeli army in the cities—Palestinian cities: Yes, a lot of things could be done on that level to improve the daily lives of Palestinians. I agree with that. I agree it’s not inconsistent. INDYK: I would just say that there is some prospect with the Arab states more engaged with Israel for the reasons that Ken says, that they face a common threat, that there may be a way to encapsulate a Palestinian state within a broader Arab state system in a way that will make it less—some of the things that Barney was talking about—less problematic for the Israelis. STEIN: And several years ago talk about a framework, Martin wrote an article calling for the possibility of a trusteeship that could evolve over time, right?